The plan to 3D-print a bridge in mid-air was always bonkers. How could a technology best known for creating flimsy prototypes and personalized action figures be used for permanent construction projects? Well, the team at MX3D in Amsterdam just answered all of the hard questions and revealed it: the world’s first 3D-printed bridge. 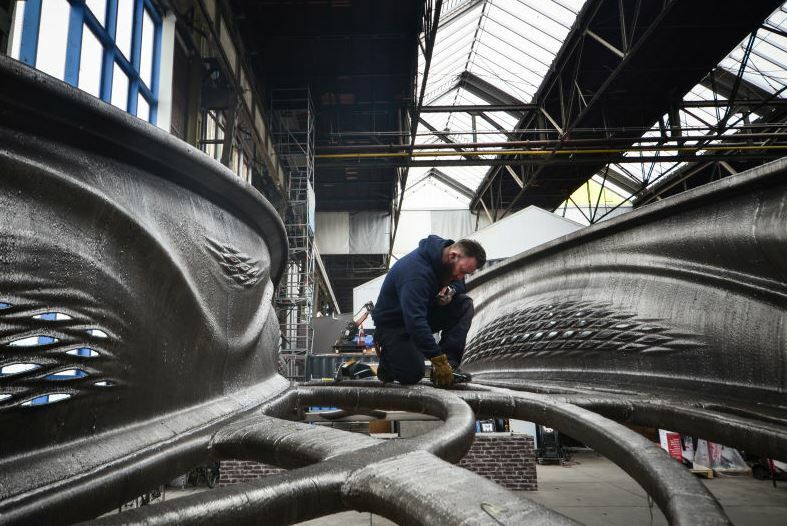 It’s made of a completely new type of steel, spans 40 feet, and will be installed early next year in De Wallen, the largest and best-known red-light district in Amsterdam. It also looks utterly otherworldly. Read more at Gizmodo.